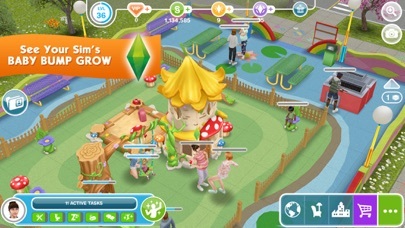 The game is NOT for kids inappropriate stuff happens even know the game is like copyright form The Sims Mobile app. This is probably my second favorite game I play. I love this game and I have played it for a few months and I think I can say I’m “far” into the game. One thing I want you to change is the patios. They are super expensive! I got a 4 by 3 and it’s $18,000! I understand that patios aren’t cheap but it’s really hard for people who don’t usually have that much money! I had $106,000 and paid the $18,000 and now I have 80 something thousand now. 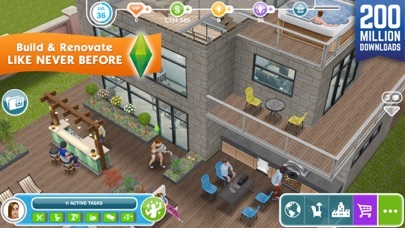 I really want to make a bigger patio so I have more room for sims to hang around at but I will probably have $1000 left. I have OCD so it annoys me. Another complaint I have is that you don’t have a speed up timer. 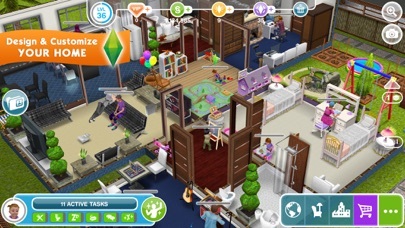 I hate when I have to wait 2 hours up to a day or 2 days to get something or have a baby born or have a house built or sims work or sims interactions. PLEASE MAKE A SPEED UP TIMER!!!!!!! 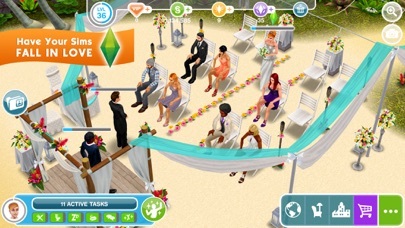 It doesn’t have to control the quest timer, just the sims. I’m sorry if Im being too “needy” but it’s something that will make the game so much better. Thank you and please add these things! The game is awesome but I can’t even enter my house unless I get an ad. This is very annoying because I just want the smooth gameplay with out the distractions like it used to. Please stop spamming the ads. 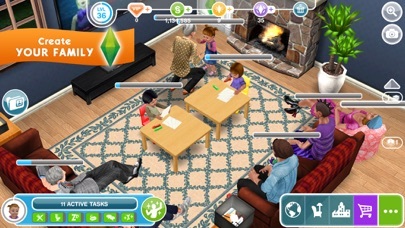 I love this game but it feels like some times you forget we have lives because the task are Way to long for one thing.STUFF can't take hours!We need spell things like if you have a lot of stuff for something can we have like sell this much and but how much we need. THIS will just make the game less hard and not make you mad so you don't want to play.